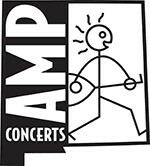 Tickets are $22 in advance, $25 day of show (including all service charges). They are also available by phone through Hold My Ticket at 505-886-1251. 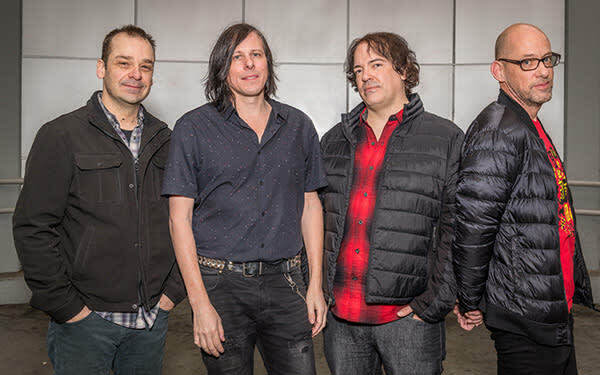 Rock 'n roll has rarely been as smart, soulful or satisfying than it has in the hands of The Posies. During an on/off career that's stretched across four decades, the Seattle-rooted outfit, led by musical polymaths Jon Auer and Ken Stringfellow, have shaped and re-shaped their muse, creating one of the more compelling catalogues in modern pop. From the very beginning, the band sired a succession of classic LPs—including the now seminal Dear 23 and Frosting on the Beater—that served as joyous rejoinders to a generation mired in grunge. And yet, for much of their history, the band has been playing a game of genre tag semantics, dodging facile and limiting descriptions like "power pop" and "retro pop"—terms which initially greeted their 1988 debut, Failure. "We started out as teenagers, and we made this lovely, very innocent kind of record that existed in stark contrast to the prevailing winds that were blowing in Seattle at the time," notes Stringfellow. "Ever since then, people tend to think of us as this very sunny vintage-sounding band. But we really haven't been that way for a long time." 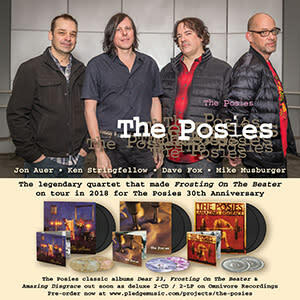 Ultimately, the magic of The Posies lies in the special chemistry between Auer and Stringfellow. Like any great partnership, it's one that's had its ups and downs, stops and starts, over the years. But those experiences have simply served to strengthen the bonds between them. "One thing I've observed: it doesn't feel like we've been together as long as we have," notes Auer. "And, some days, it even feels like we're just getting started. I think that's a very good sign." 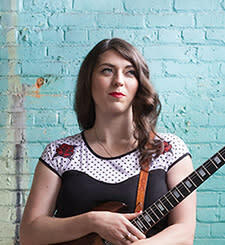 Whether you're talking about her as a songwriter, guitarist or vocalist, one thing is indisputable: roots rocker Terra Lightfoot is a ferocious talent. Her songs tap into the raw emotion of hearts supercharged by love, loneliness and temptation. Her playing melds expert finger-picking and distorted, hook-heavy melodies. And her elemental voice commands attention and awe, whether on slow-burning soul ballads or hard-charging rock numbers. Terra released her self-titled debut album in 2011; its critically acclaimed follow-up, 2015's Every Time My Mind Runs Wild, marked the artist's arrival as a striking songwriter and compelling live performer. 2017 brought two new albums: the orchestral collaboration Live in Concert and her third studio album, New Mistakes, the latter nominated for Adult Alternative Album of the Year at the 2018 JUNO Awards.